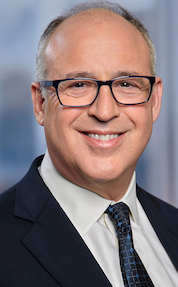 Bob represents clients in corporate transactions, including mergers, acquisitions, financing, franchising, licensing, joint ventures and strategic alliances, with an emphasis on hospitality and on new and emerging technologies. As a senior member of JMBM's Global Hospitality Group, Bob specializes in the negotiation of hotel management and franchise agreements, the acquisition and divestiture of hotels, resorts, restaurants and other hospitality properties, hotel and hospitality workouts and turnarounds, and ongoing operating issues of hospitality properties. Bob is a frequent author and lecturer on hospitality issues. As Co-Chair of the JMBM Cybersecurity and Privacy Group, Bob counsels clients on privacy and security, information technology, software development and licensing, and electronic commerce transactions. He is the co-author of the Cybersecurity Lawyer Forum blog, and lectures frequently on technology issues. He is one of only two attorneys in the Southern California listing of Super Lawyers to be recognized for expertise in Information Technology.